Great space in this very nice 1,304 sq ft ranch w/3 bedrms, 1 full, 2 half baths & 2 car garage in Mehlville School Dist.! Entry foyer w/guest closet leads to large Living Rm that opens to Dining Rm. Kitchen has wood cabinets, brkfst bar & appliances stay. Generous size Family Rm w/wb fireplace & built in book shelf is perfect for entertaining or relaxing. There is access to patio & fenced level yard w/shed! Newer flooring in Kit. & FR. Master suite has ½ bath w/dressing table. Ceiling fans in many rooms. Two addl bedrms & full hall bath complete main level. Partially fin. Lower Level w/newer carpeting, provides addl living space w/spacious rec room w/built in storage benches, ofc/sleeping rm, ½ bath, laundry area w/washer & dryer that stay & a big storage area w/shelves & cabinets. Seller providing clear STL County insp. & 1 year HSA HPP. Property being sold ‘as is’. Close to I-255, shopping, restaurants, parks & more! Add your special touches to make this great home yours! 3146 Lin-Tel Road (MLS #18048404) is a 1 story single family home located in St Louis, MO. This single family home is 1,404 sqft and on a lot of 7,754 sqft (or 0.18 acres) with 3 bedrooms, 3 baths and is 62 years old. 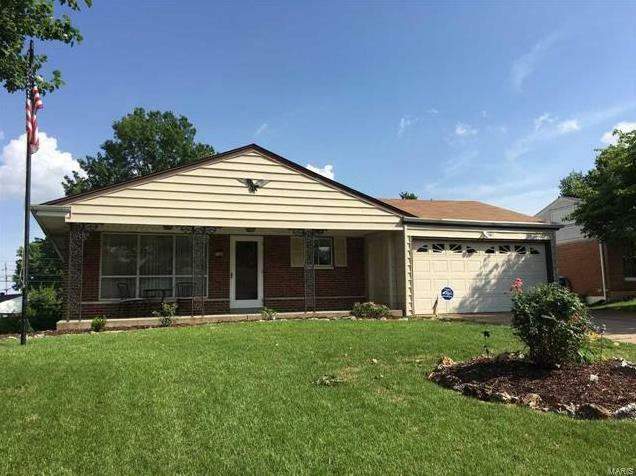 This property was listed on 06/15/2018 and has been priced for sale at $154,900. The 3 bedroom single family home at 626 Suntide Drive in St Louis is comparable and sold for $125,000 on 08/04/2017. Another comparable 3 bedroom single family home, 736 Chevron Drive in St Louis sold for $161,000 on 06/15/2018. Nearby zip codes are 63052, 63123, 63128, 63129 and 63376. This property neighbors other cities such as Affton, Lakeshire, Lemay, Mehlville and Oakville.